Enabling individuals to reach their full potential. Kevin recruits and develops mission-driven leaders. He instills a high-performance mindset and creates an environment to achieve maximum results. He guides Associates, helping to define goals and strategies that tap into one’s purpose and leads to maximized focus, engagement and achievement. “Kevin communicates simple ideas and concepts that make big differences” – Bulfinch Group Senior Associate. Kevin’s strong vision and positive energy create the foundation for business development strategies, processes and practice management. High performance is tangible, easily-defined and realized. He serves as an inspiration and resource to those he leads. Kevin is a seven-year Five Star Wealth Manager award recipient. 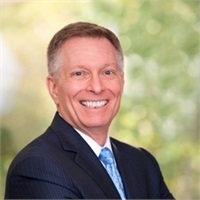 Prior to joining The Bulfinch Group, Kevin was a financial advisor and industry-recognized leader with two other major financial services firms. As a graduate of Colby College, Kevin received his B.S. degree in biology. He maintains an active involvement in charitable and community organizations. Kevin is an avid skier and aspiring golfer and resides in Marlboro, MA with his wife Amanda and daughter Cassandra.